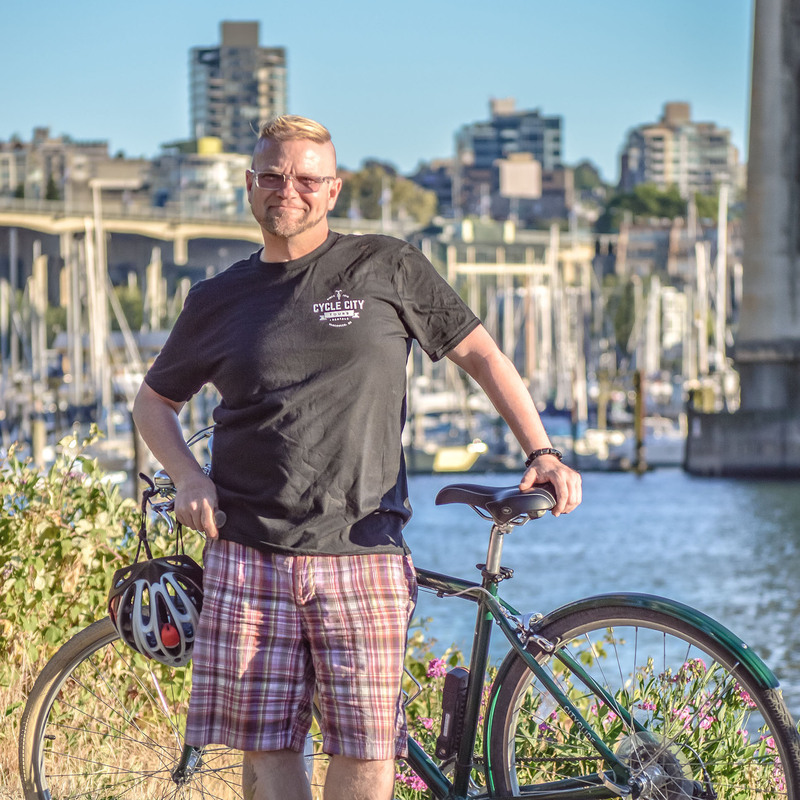 Cycle City Tours was founded from a love for touring Vancouver by bike, and a belief that bike rides are always better when shared with friends. 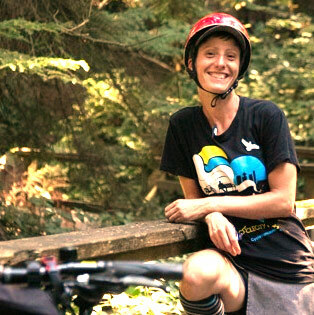 Since 2010 we’ve been sharing stories, laughs, and new experiences with riders from Vancouver and across the world. Through our guided tours, we tell captivating stories about what’s really going on in the city beyond the glimmering glass towers and incredible coastal and mountain views (though we never get tired of our beautiful city!) 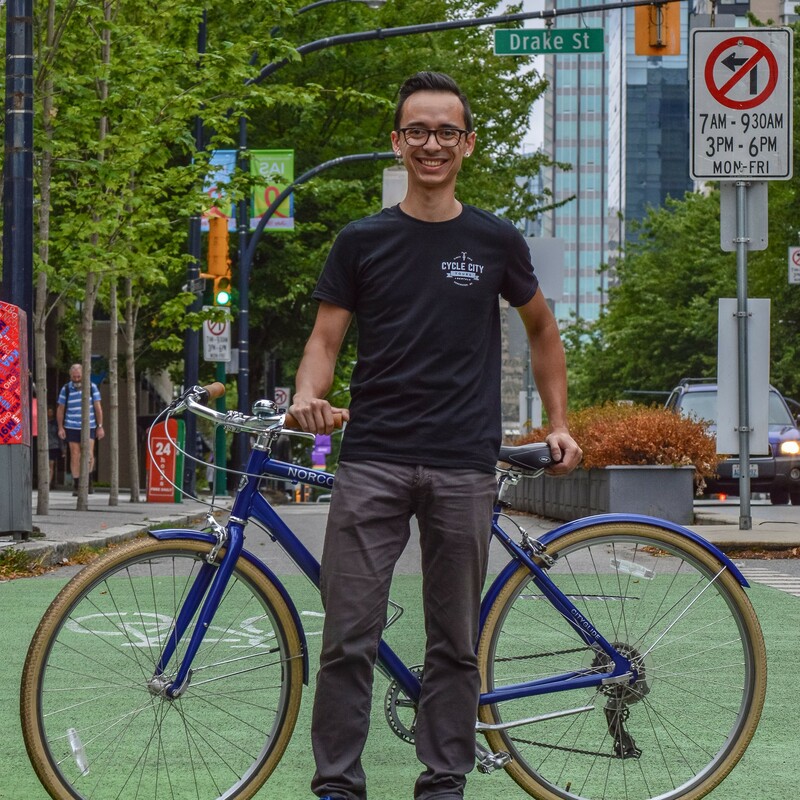 Our guides are passionate, connected Vancouverites who have a love for bike riding, telling stories, and meeting new people. We now have two convenient downtown rental shops with stellar line of bikes and family accessories, self-guided tour maps, and expert local advice always available from our friendly shop staff. See you on the bike path! 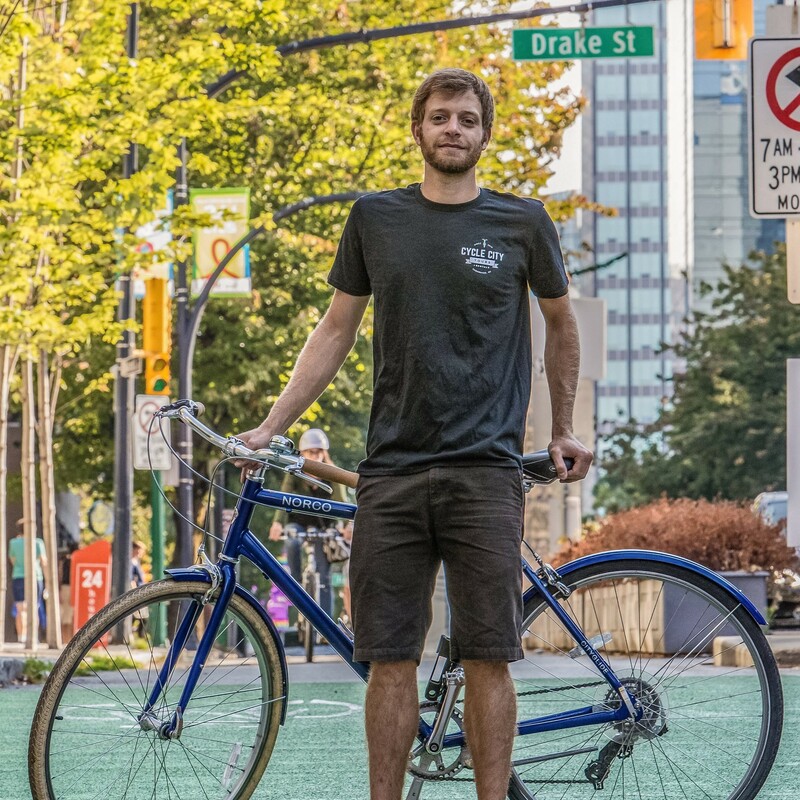 Growing up in the prairies of friendly Manitoba, Josh is passionate about sustainable travel, particularly the self propelled type. After realizing the world of Finance was not for him, he set off to travel the world in 2005. Over several years his travels took him to such places as Brazil to study capoeira, a Brazilian martial art/dance/music, a rural village in Japan, and to Cambodia where he interned at a non-profit and guided his first bike tour – a 3 week, 1000km educational tour of the country. Realizing that travel had the ability to shift perspectives and “tread lightly,” he decided to test these ideas over 4,000km of pedalling following the Mekong river from Phnom Penh, Cambodia to the border of Tibet in China. The experience sealed his belief that a journey is truly about the people you meet and learn from along the way. Josh continues paying it forward, sharing stories about Vancouver and making new friends who join his bike tours. He is particularly interested in First Nations topics, Pacific temperate rainforest ecology, and Vancouver’s food scene! Its hard to summarize someone as diverse and awesome as Ifny. Basically she is an amazing human being and award winning tour guide (seriously, she won a Vancouver Tourism Award! ), known throughout Vancouver for her colourful socks, endless knowledge and stories, and vivacious spirit. Resident beer guide, Nick is passionate about sharing great beer, food and stories with our guests. Originally hailing from Albuquerque, New Mexico, Nick grew up cycling amidst the cacti, tumbleweeds, and rattlesnakes of the American southwest. Seeking an entirely different perspective, Nick relocated to Vancouver in 2003 and is still transfixed by the green moss and ferns of our beautiful coastal city. 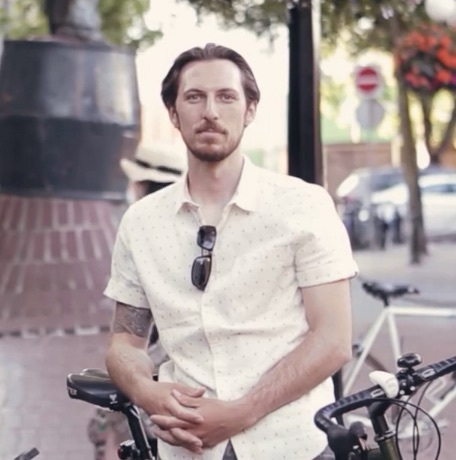 Nick is an advocate for cycling as a safe and fun method of transportation for all. When he is not riding bikes or sampling beer, Nick is probably off somewhere performing or teaching French Horn. Nick Lagasse is forever trying to sustain that childhood sense of wonder and discovery. Coasting through the open air on a bike is a particularly efficient way to achieve this. Though it has been over a decade since he caught the ol’ freight train out west from Ottawa, he still considers himself lucky to have landed on the west coast. Climbing mountains to find complete solitude, then coming back down to join in the grand human experiment we call Vancouver – Nick finds beauty in that balance. Music is his chosen window for understanding the world. Nick plays with local bands ranging from Latin jazz to old-school hip hop, and hosts a weekly global music show on CJSF community radio. He is fascinated with the intersections of cultural traditions, and believes that genuine openness can be achieved through musical exploration. While completing a degree in Communications and Anthropology,Nick spent time studying in Paris, where he dusted off his French vocabulary and acquired an insatiable taste for the unfamiliar. 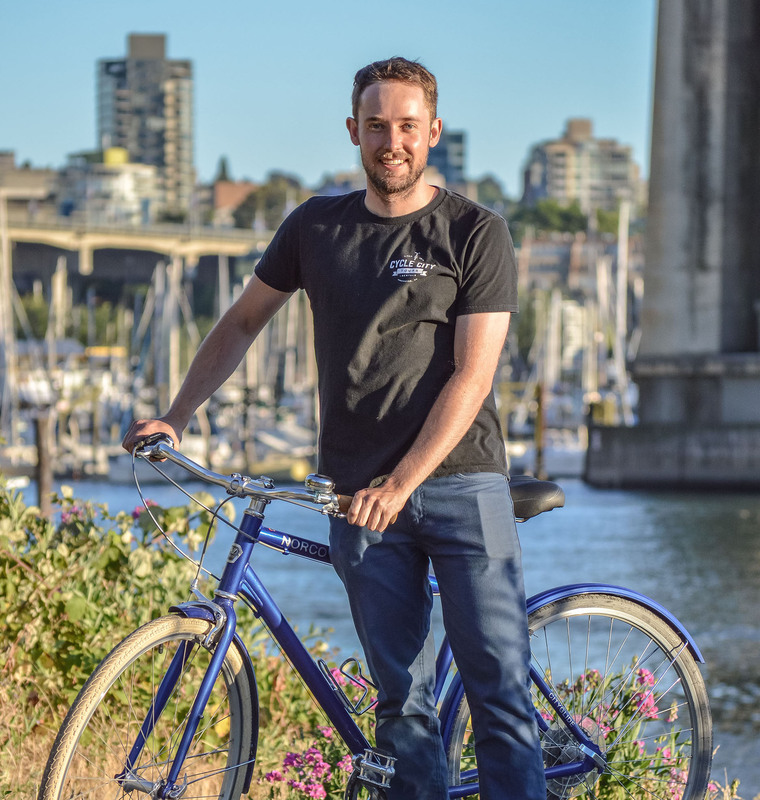 After visiting the hidden corners of cities like Berlin and Amsterdam on bicycle, he is dedicated to offering travellers a similarly thrilling experience of Vancouver. Nick’s other interests include potato pancakes, the wisdom of ancient civilizations, and disc golf. Since getting his first 2-wheeler for his 10th birthday — an emerald green mustang with a black banana seat & chrome sissy-bar — Greg Armstrong-Morris as been a committed cyclist. As a commuter, he has braved the traffic of Vancouver, Toronto, and Santiago, Chile – 3 cities that have prepared him for just about the streets can throw at you. He is also an avid fan of vintage & antique furniture design, an agent for local musicians, a freelance writer, an award-winning actor, and a proud dog-dad. His current 2-wheeler is the shiny and comfortable Bessie Mae Mucho IV. With her help, he looks forward to introducing visitors to the beauty, diversity, and sustainability of Vancouver – a city committed to becoming the greenest in the world. A well-rounded day for Russell is not complete without a good bike ride and a new beer to try. Having grown up in the suburbs of Vancouver, he has witnessed first-hand the craft beer renaissance that has swept the Lower Mainland, delivering a seemingly endless spectrum of novel beers to sample. Tasting, home brewing and beer-festival-going are among the many ways Russell keeps his palate sharp and his finger on the pulse of the Vancouver beer scene. When not pedalling around East Van or imbibing local brews, Russell busies himself with his other passions: music making and rock climbing. A lifelong musician, he has worked for the better part of a decade in the music industry; his instruments of choice are the piano and the drums. On sunny weekends you can find Russell perched precariously on the rock faces of the North Shore or Squamish, and when not reenacting scenes from “Cliffhanger” he trains in Vancouver’s indoor climbing gyms. Nancy is a passionate born and raised North Vancouverite with incredible stories to share. If you’re looking for the best hiking, mountain biking, and skiing locations in the region, she is your go to expert! 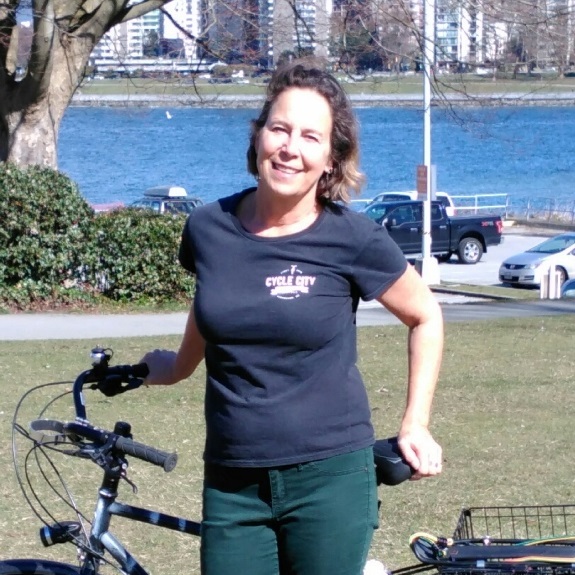 Lisa is a lifelong Vancouverite with an ongoing love for cycling; she biked across the city to school when she was 9! 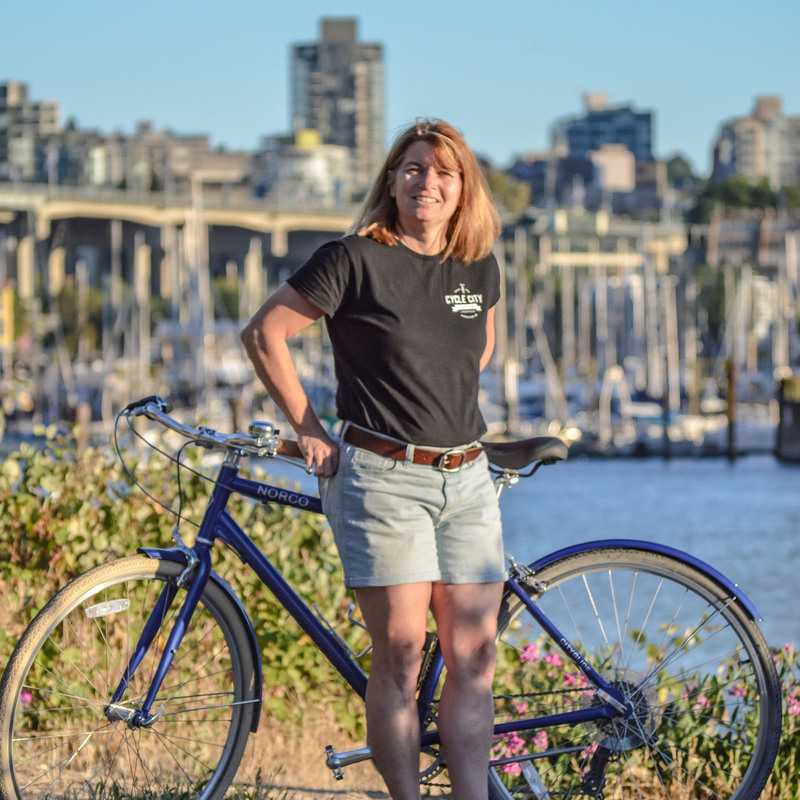 She is not only passionate about cycling in Vancouver and discovering the city’s hidden joys and more obvious delights, but equally enjoys travelling and hearing from people from all over that she meets along the way. Fortuitously, bike tour guiding marries the two! She has an eclectic background that includes teaching English to new immigrants, importing jewelry from Bali, working to help bring better cycling to Vancouver and hiking in north India. Looking forward to sharing more stories! Great at telling stories and capturing an audience’s attention Love being outdoors and working independently Enjoy sharing your knowledge of and passion for Vancouver, having lived here for a long time Experience leading groups and public speaking A passion for meeting new people Don’t mind getting your hands dirty occasionally fixing a flat tire or doing basic bike maintenance. Do you already know how or are you willing to learn? You speak fluent English. Do you speak any other languages? New Guides and shop staff are typically hired and trained in March/April each year. Rental Advisor – Multiple Positions Available!